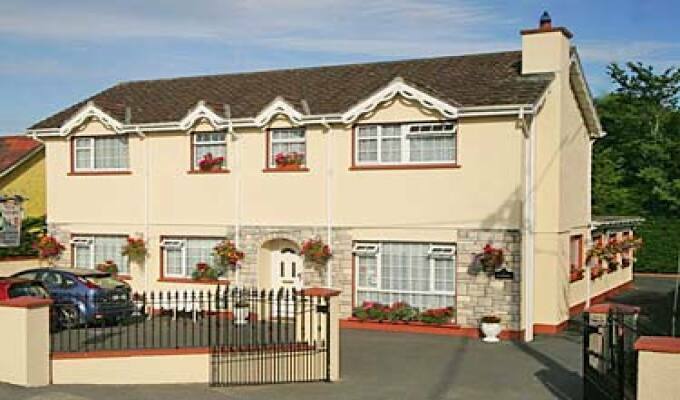 Sea Court B&B is a comfortable and homely 4 star award winning B&B located in the seaside town of Tramore. It serves as the perfect place to stay during your visit to our gorgeous seaside town. Guests can relax and enjoy a cup of tea/coffee in our lounge, with home made baking provided on arrival to all our guests. Free WiFi Internet access is available throughout the house and we have a free secure private car park at the rear of our house. All rooms are en-suite, spacious and decorated to a high standard. All rooms have TVs, clock-radios, hairdryers, complimentary showergel, shampoo & tissues. On entering Tramore from the R675 drive straight through two roundabouts. Sea Court is the fourth house on the left hand side after second roundabout. A great stay for us in Sea Court B&B. The room was huge for us and our two kids and very tidy. The location near the beach was great, unfortunately we had only one night in this accomodation. we have just spent a week at the Seacourt with Tom Liz and Thomas junior . They couldn't do enough for us nothing too much trouble. Rooms immaculate breakfast fantastic. Great shower plenty of hot water. Secure parking is an added bonus. Only a short stroll from town and beach. Thanks guys you made our holiday complete!! My wife and I stayed in Tom's SeaCourt B&B In June of 2013. Our room was very nice. The service was great and the morning breakfast was excellent. I would recommend staying at the Sea Court B&B to everyone.